Life changes – and so can leases…if both parties agree. In theory, anything in an existing lease can be changed as long as it does not infringe upon a tenant’s legal rights. However, practically speaking, a tenant probably won’t consent to an increase in their rent. Keep in mind that because you have entered into a contract with your tenant, you cannot take it upon yourself to make any changes to the terms of the lease agreement. But, as long as all parties agree, feel free to make as many changes as you’d like. We can’t stress it enough – get it in writing! Anything you agree on or change should be in writing. That way, no one can say later that they didn’t agree to something or didn’t understand it the same way as you do. Not only do you need to get the change in writing and signed off on by all parties, but you also need to be certain you follow any requirements of your state. As long as both parties agree, states do not require a specific amount of notification time before a lease change can occur. 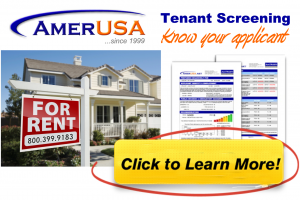 However, even if the tenant violates lease provisions, almost every state requires a certain amount of notice for a landlord to terminate tenancy.